Farmstay offers an opportunity for students to enjoy the countryside and experience farm life. The Farmstay Programme gives international students the opportunity to do this, and to get a “natural” Canadian experience. Min. required level of Pre-intermediate level English or French. With this Farmstay programme, students are placed for a 2 to 4 week period on a farm in the wilderness of BC, Alberta, Ontario or Quebec. There, they live with a family and assist in the day-to-day up-keep of a family farm. Students get to see the great outdoors, get up close and personal with animals, and try Canadian food, fresh out of the ground. Farmstay gives students an added opportunity to practice their English or French in a real social context. Vegetable / Fruit Farm: Small farms specialising in mixed vegetables or fruit, includes orchards. Arts/Crafts/Artisanal Food Processing: Farms specialising in production of small craft foods or craft products like certain types of jam, or specialized lamb, or heirloom vegetables. Mixed Farms (animals and produce): These are typical “family” farms that students would be used to seeing on TV programmes and movies. They include a small collection of animals, and a medium sized patch of crops. 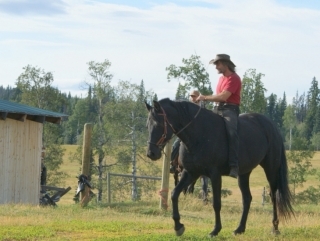 Ranches: Cowboy placements, usually on a small guest ranch, occasionally done on larger cattle ranches. Students must have previous experience with horses. Vineyards: Small hobby vineyards producing regional wines. Please note that every farmstay placement experience is labour-intensive and requires the student to be physically fit and active. Students must be physically able to perform farm work. This includes being able to lift at least 20 kg. Application for Farmstay Programme must be received at least 6 weeks in advance of desired start date. Step 1: Student completes application indicating type of placement and length of stay. Student must make more than 1 choice of farm type. Step 2: Consultation with the student. Step 3: Student is matched with a farm and is sent a Farmstay Profile and a bus ticket (if within province) with instructions . Includes one-way bus transportation from city to host farm within province. For any placements out of province (Rural Ontario and St Lawrence Valley Quebec) , students will need to pay for their own transport.